Formed in Stockholm in the emerging game development hub of Sweden, which is also home to some other of the world’s most successful studios such as DICE and Avalanche, Mojang Specifications has come a long way since it first officially opened its doors in 2009, becoming one of the world’s most famous developers. This success is in no small part down to world building title Minecraft, created by Markus ‘Notch’ Persson. 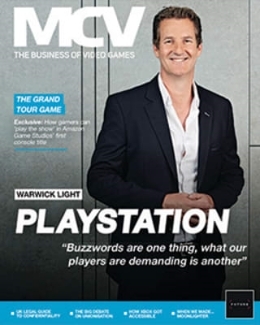 The game has taken the world by storm, selling more than eight million copies on PC, with the Xbox 360 port, run by Scottish outfit 4J Studios, averaging 27,000 sales a day, and recently dethroning Activision’s blockbuster Call of Duty: Modern Warfare 3 for most unique users. But despite the studio’s success, which has even branched out to merchandising and magazine deals, little is known about how this once-small indie outfit was put together, and just who, behind Markus Persson, is responsible for making the studio a successful business. Develop sat down with the Mojang team to find out how it came about, what makes it tick, and what the future holds for the house that made Minecraft. The studio was started by Persson and Jakob Porser, the latter of which is the lead developer behind turn-based strategy title Scrolls. 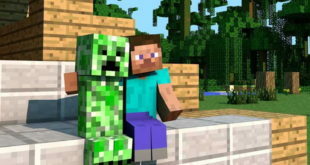 The two had known each other for five years prior, having also worked with each other during this time, but when Minecraft began to slowly gain popularity and a loyal following, Persson decided he wanted to start his own company, alongside Porser. “Markus and I had known each other for roughly five years before we started Mojang and we had also worked with each other during this time,” says co-founder and Scrolls lead developer Jakob Porser of creating the studio after Notch approached him about working together again. But despite having founded the studio, the two developers decided to focus their efforts on game creation, and brought in Carl Manneh as CEO to run the business side of the company, who had previously hired Persson as a web developer at JAlbum, where he also ran operations. 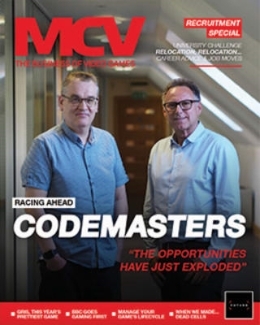 “We both wanted to stay game developers and trying to combine that with a lot of administrative duties wasn’t something we saw as particularly appealing nor something we thought we would be very good at,” explains Porser. Now three years later, Mojang has completely transformed from its indie roots, and now houses 25 employees including the likes of business developer Daniel Kaplan, current Minecraft lead developer Jens Bergensten and art director Markus ‘Junkboy’ Toivonen. The studio also has a number of games currently in development, such as Persson’s 0x10^c, multiple versions of Minecraft already released for different platforms including Xbox 360, iOS and Android, turn-based strategy title Scrolls, and is even publishing action side-scrolling game Cobalt, currently being developed by another Swedish developer called Oxeye Game Studio. Manneh says that over the course of the studio’s short life, his job role has changed from initially running almost all aspects of the business to now focusing on strategy and management. And while Notch may grab all the headlines, Manneh has clearly played a significant role in keeping the company in a healthy business state allowing the developers to keep on working on new and original ideas, without interference from external publishers. 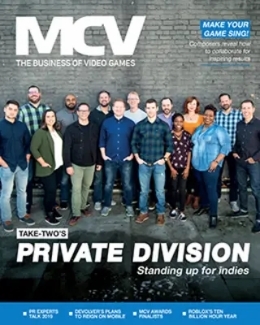 It’s thanks to this healthy position, the runaway success of its games and a close connection to the community that, as Kaplan admits, has led to the studio receiving numerous offers from large publishers to buy out the studio. “We have been approached by a bunch of different companies wanting to invest or acquire the whole company but that is not interesting for Mojang since the whole purpose was to create an independent studio,” says Kaplan. 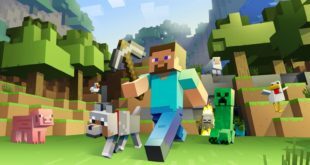 And not content with what success it has had, Kaplan goes on to say he hopes the ambitious studio can in future start increasing its output further on the games already in development, and release a game every year, although the developer will be hard pressed to find another breakaway hit such as Minecraft. “I think that we should focus even more on creating new games and new experiences,” he states. This ambition is far and away from the studio that started just a few years ago with Minecraft and Scrolls in development. The team agrees that such a huge rise in popularity and the expansion of the studio has taken them all by surprise. Porser states he could never have imagined – or wanted – Mojang to grow beyond even just eight people. But with the mammoth success of Minecraft, the developer was forced to bring in more staff to expand. “It has been so weird,” he says. “When we first started talking about Mojang, I could never imagine that things would go this well. I mean at first, we all said that Mojang would never grow beyond 8 people! We later came to realise that this plan wouldn’t be possible to maintain. Minecraft was simply growing way too fast and becoming way too successful. “We still do not want to become a massive company however, and that ties into our protective side about the company culture. The people at Mojang are a second family to me and I want to keep it that way. But although it may be harder to achieve an ‘indie’ ethos as the studio grows than Mojang might have you believe, the developers have an impressive dedication to trying to maintain the ‘indie spirit’ from the studio’s roots. This ethos of keeping small development teams while also maintaining a close connection with its community is commendable, but Persson says he still has concerns the studio may one day lose this if it decides to stretch itself too far, and is not interested in joining the development giants such as Activision, EA and Ubisoft creating triple-A blockbusters. “I hope we can keep the spirit for as long as possible,” he says. Manneh adds that he hopes the developer can continue to stay close to its roots despite plans for expansion, and admits the studio will likely expand over the next few years, depending on what kind of games it takes on. But how do you keep this indie mentality and foster creativity at the studio? Manneh says Mojang lets people “work on stuff they want to work on”, which he believes helps keep inspiration up. He also notes gaming Fridays and Mojam as a useful method of keeping the studio a fun place to work while also helping to inspire creativity. This is backed up by Markus ‘Junkboy’ Toivonen, who also mentions his “silly nickname” is just a name that took to him years ago that he is now stuck with, rather than, he jokes, to do with a hoarding disorder or infatuation with junk food. Hired originally to work as an artist on Scrolls, Toivonen quickly became involved in all titles at the studio that needed artistic input and soon taking up the role of art director. “Typical workdays for me might involve making web design and GUI’s, communicating with our merchandise partners or designing a massive three by four foot coat of arms in oak. Right now I’m doing stuff for MineCon,” he says. Toivonen adds that in fitting with the studio’s ethos, he is allowed to be very independent, “almost to a frightening degree”. He jokes: “Are you familiar with impostor syndrome? Any day now I expect someone to go ‘Oh God, we let the guy who drew ‘Mike Haggar piledriving a shark’ develop the visual profile for our collaboration with the UN?’." This ethos also seeps into how the developer hires staff, with a focus on hiring multi-talented developers rather than specialists as well as being constantly on the lookout for someone who will also fit in with the group. 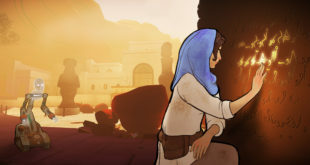 While the studio allows for a large amount of independence from its staff, and also tries to keep away from ‘hard deadlines’, key business decisions on how the studio is run are left to Manneh, Persson and Porser, who try to have weekly sit-downs to discuss the state of Mojang and whether they are comfortable with how things are progressing, ensuring the culture they are very protective of isn’t side-lined. This doesn’t mean however that other staff cannot have a say in how the company moves forward, as Toivonen states, “I would say that everyone in Mojang can have a say in anything if they’re brazen enough”. Moving into the future, Mojang looks set to continue taking the world by storm, as the behemoth that is Minecraft continues to break sales records and hit new milestones, as well as expanding into areas beyond gaming and even into UN initiatives such as the ‘Block by Block’ project, designed to assist the redevelopment of around 300 spaces around the world by 2016. It will be interesting to see whether this team of former indies can continue this success into new titles such as Scrolls and 0x10^c, and who else at the studio will rise as a development star of the industry now they have an ambition to release one game a year.